Hammel Associates Architects is one of the leading architectural firms in the mid-Atlantic region. 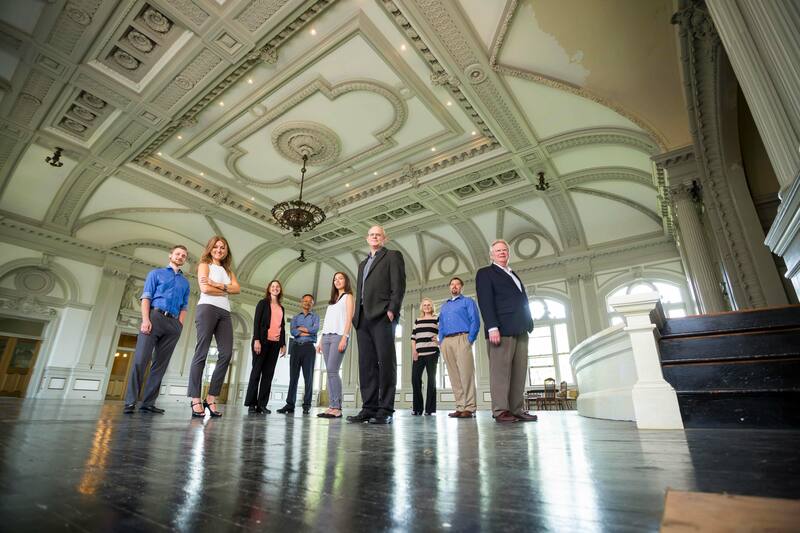 Our offices in a re-purposed center city building, c.1868, in Lancaster, PA, are a visual representation of the quality, talent, innovation, and expertise we bring to solving and satisfying our clients’ needs through architectural and design solutions. Contact us at, info@hammelarch.com, to let us know about your project and begin looking at how best to provide you with the outcome you want. We start your project by listening carefully to your needs, ideas, challenges, timelines, and budget concerns in order to build a collaborative relationship. Our team creates your building design with an equal emphasis on design quality, technical achievement, and beautiful, functional space, to provide you with a cost effective facility you will be proud of. During the entire project you are supported by our commitment to responsive and pro-active communications, detailed project management, and on-going budget compliance. When you work with us you get an unbeatable combination of design excellence, technical innovation, beautiful solutions, and sound business management that integrate your needs in a creative process. That’s why so many of our clients do repeat projects with us, and it is a significant factor in the longevity of our success.